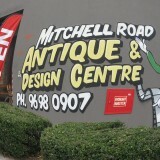 Mitchell Road Antique & Design Centre have over 60 dedicated dealers selling their wares all under the one roof! 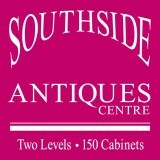 Everything from retro, antiques, industrial, 20th century, toys and vintage clothing. Come and see the massive warehouse display of goods on offer. 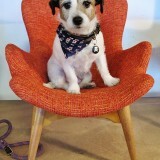 Relove Oxley – We buy and sell, and offer consignment on Antiques, Clothes,Homewares and Interesting things. 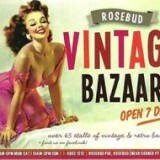 Rosebud Vintage Bazaar is an Art Deco theatre with 80 stalls of Vintage, retro, recycled and costumes from all eras. 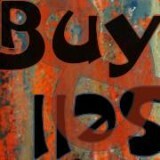 Artistic, upcycled, unique one-offs and bargains galore. Cafe attached. Smith Street Bazaar a collective of discerning dealers offering a very eclectic selection of vintage and retro furniture, homewares and objects. The Antique Guild uses a curated approach to antiques bringing together some of the finest museum quality pieces to decorate the most discerning of homes and bodies. Situated on the picturesque Mornington Peninsula opposite iconic Dromana Drive-in. The Factory Antique Market hosts an impressive collection of antique, retro and nostalgic articles from over 26 stall holders. The Mill Markets are Australia’s largest mix of antiques, collectables and vintage clothing. Six venues across Victoria, with a seventh on the way.